The talk will involve the presentation of a recently proposed indirect, certainty-equivalence, event-triggered adaptive control scheme. The hybrid adaptive scheme is using a novel Batch Least-Squares Identifier (BaLSI), which is activated at the times of the events. The BaLSI guarantees the finite-time asymptotic constancy of the parameter estimates and the fact that the trajectories of the closed-loop system follow the trajectories of a nominal closed-loop system with known parameter values. Thus, if the nominal feedback guarantees global asymptotic stability and local exponential stability, then unlike conventional adaptive control, the newly proposed event-triggered adaptive scheme guarantees global asymptotic regulation with a uniform exponential convergence rate. The developed adaptive scheme is tested to the problem of the state regulation of the wing-rock model as well as to systems described by parabolic Partial Differential Equations. Comparisons with other adaptive schemes will also be provided for these particular problems. This is a joint work with Prof. Miroslav Krstic of University of California and Dr. Maria Kontorinaki of University of Malta. 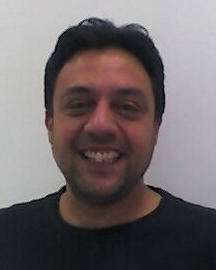 Iasson Karafyllis is an Associate Professor in the Department of Mathematics, NTUA, Greece. He is a coauthor (with Z.-P. Jiang) of the book Stability and Stabilization of Nonlinear Systems, Springer-Verlag London, 2011 and a coauthor (with M. Krstic) of the books Predictor Feedback for Delay Systems: Implementations and Approximations, Birkhäuser, Boston 2017 and Input-to-State Stability for PDEs, Springer-Verlag London, 2018. Since 2013 he is an Associate Editor for the International Journal of Control and for the IMA Journal of Mathematical Control and Information. His research interests include mathematical control theory and nonlinear systems theory. A classical approach to sampled-data control is based on discretization, which looses an information on the inter-sampling behavior and performance. To avoid the latter problem, a time-delay approach to sampled-data control was introduced, where the system was modeled as a continuous-time system with the delayed input/output. The time-delay approach became popular in networked control systems, where the plant and the controller exchange data via communication network. In the present talk three main approaches to sampled-data control will be discussed. A recent extension of the time-delay approach to networked-control systems will be demonstrated, where variable sampling intervals, communication delays and protocol scheduling are taken into account. Also event-triggered control will be mentioned. Emilia Fridman received the M.Sc. degree from Kuibyshev State University, USSR, in 1981 and the Ph.D. degree from Voronezh State University, USSR, in 1986, all in Mathematics. From 1986 to 1992 she was an Assistant and Associate Professor in the Department of Mathematics at Kuibyshev Institute of Railway Engineers, USSR. Since 1993 she has been at Tel Aviv University, where she is currently Professor of Electrical Engineering-Systems. 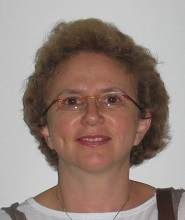 Since 2018, she has been the incumbent for Chana and Heinrich Manderman Chair on System Control at Tel Aviv University. She is IEEE Fellow since 2019. She has held visiting positions at the Weierstrass Institute for Applied Analysis and Stochastics in Berlin (Germany), INRIA in Rocquencourt (France), Ecole Centrale de Lille (France), Valenciennes University (France), Leicester University (UK), Kent University (UK), CINVESTAV (Mexico), Zhejiang University (China), St. Petersburg IPM (Russia), Melbourne University (Australia), Supelec (France), KTH (Sweden). Her research interests include time-delay systems, networked control systems, distributed parameter systems, robust control, singular perturbations and nonlinear control. She has published more than 150 articles in international scientific journals. She is the author of the monograph ‘‘Introduction to Time-Delay Systems: Analysis and Control’’ (Birkhauser, 2014). In 2014 she was Nominated as a Highly Cited Researcher by Thomson ISI. She serves/served as Associate Editor in Automatica, SIAM Journal on Control and Optimization and IMA Journal of Mathematical Control and Information. She is currently a member of the IFAC Council.